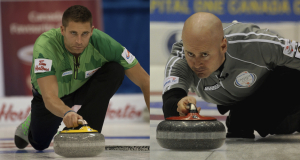 This past week, the World Curling Federation introduced numerous new sweeping and equipment rules during the World Curling Congress in Stockholm. This year’s congress was likely the most discussed Congress of the five held to date, after a year in which a massive sweeping conundrum hung over our sport. When was the last time you watched a sequel that matched the first movie for entertainment? When it doesn’t live up to your ideal of the first movie, does it take something away the opening act? By Nolan Thiessen In our current social media age there is a tendency to overstate current events as “unprecedented” or “the best ever.” That said, I don’t think it’s an overstatement to say that I can’t remember a time when the Blue Jays have captured the imagination of Canada quite like they have since their flurry of trades in late July. Canadian baseball fandom was never at the heights it is at today, even when the WAMCO Jays were destroying MLB in 1993. How do you break this team up? I mean, what good reason is there to not send us back out there for the next World Financial Group Continental Cup after the destruction that just took place in Calgary? 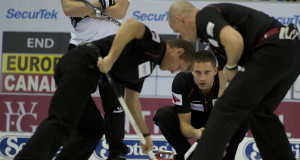 This week in Calgary at the Markin MacPhail Centre at WinSport’s Canada Olympic Park, the World Financial Group Continental Cup, presented by SecurTek Monitoring Solutions, gets underway. 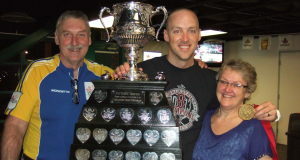 During every Tim Hortons Brier final between the seventh and eighth ends, two RCMP officers bring the Brier Tankard out for everyone to see. Curling at this level is really hard and sometimes you get kicked in the guts. The puck (rock?) drops Wednesday on the Home Hardware Canada Cup, presented by Merian Manufacturing, and as always it is going to be quite a week of curling. Team Morris keeping things positive! The first weekend of competition is over for the new Team Morris and we were cautiously optimistic about our start. 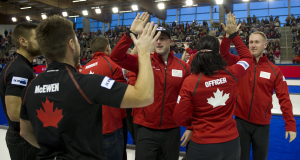 Team Canada is ready to begin a big season, including trips to the 2014 Home Hardware Canada Cup, the 2015 WFG Continental Cup and the 2015 Tim Hortons Brier. Fans who’ve enjoyed my writing for the past few years have commented that it feels like little peek into the inner workings of elite curling, a view behind the curtain, so to speak. 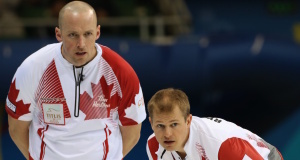 The embarrassment of riches that is Canadian curling is staggering. 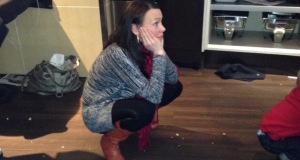 Preparing for the Tim Hortons Roar of the Rings goes well beyond the physical work, as blogger Nolan Thiessen tells us.